TGI Ltd, whose owners had been considering a sale for some time is owned by a European family, according to industry sources. Coca-Cola said it “intends to increase ownership within three years, subject to regulatory approvals while working on other long-term commercial structures”, the statement said. “We strongly believe in this journey we are starting with The Coca‑Cola Company. The relationship will allow us to expand our regional footprint and product portfolio. We stay firmly committed to growing our investments in the Nigerian economy, increasing employment and local content while supporting the communities we operate in. 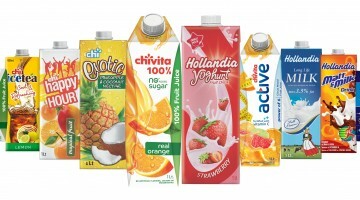 Chi will continue to provide its consumers with innovative products in the dairy, juices and snacks categories” said Cornelis Vink, Chairman of TGI Group and Chi Ltd.
“For more than 30 years, Chi’s leadership has built a greatly admired business that has quickly grown to become Nigeria’s leading producer and distributor of value-added dairy and juice products and we are delighted to enter the next phase of our growth journey together,” said Nathan Kalumbu, President, Coca-Cola Eurasia and Africa. Coke is increasing its investments in Africa as sales in more developed markets drop-off to a trickle. The company announced in 2014 it would invest $17bn with bottling partners on the continent in the next 10 years, an amount approximately three times as much as it invested in the previous decade. The company’s latest move also signals its redoubled effort to expand beyond core soda brands such as coke, sprite and Fanta at a time when health experts around the world are singling out sugary drinks for contributing to rising obesity and diabetes among the young. Coca-Cola had a 45% share of the $18.12bn soft drink market in the Middle East and Africa last year, but only 3.5% of the region’s fragmented $8.03bn juice market. Privately held TGI is Nigeria’s No. 1 juice maker and No. 2 in the region with a 4.2% market share and $337 million in retail sales, behind Iran’s Alifard Co, according to Euromonitor International. “We are extremely optimistic about Africa’s continued economic and social growth and recognize we stay one step ahead of evolving consumer taste by broadening our portfolio and introducing new products,” said Kelvin Balogun, President of Coca-Cola Central, East and West Africa, in a statement. Coca-Cola still makes the bulk of its revenue, a whopping 70% from soft drinks despite its decade’s long effort to diversify into non-carbonates such as bottled water, juice and tea. However, the company’s soft drinks business volume grew only 1% in the first nine months of 2015, compared with 4% growth for its non-carbonates. Coke’s chief executive, Muhtar Kent, said last October that the company would continue to seek “bolt-on” acquisitions to grow and diversify. One Response to Coca-Cola buys 40% stake in Chi Ltd. I want to know more about the product thanks .